The full article can be read in today’s Irish News. Students from the Republic of Ireland could face university fee increases after the UK withdraws from the EU, according to Queen’s Vice-Chancellor, Professor Patrick Johnston, in an extensive interview in today’s Irish News (29 May). Concerns have been expressed that thousands of students from Ireland wishing to take degrees in Northern Ireland or elsewhere in the UK could face much more expensive non-EU international fees as result of the UK’s decision to withdraw from Europe. Currently, students from the EU are charged the same (£4,030 pa from September) as those from Northern Ireland; fees for non-EU students are higher, ranging from £15,200 to £35,900 a year. While the immediate impact of Brexit on university numbers and charges is unclear, there have been calls to ensure that students from the UK can study in Ireland and vice versa at current rates. EU students commencing courses in 2017/18, will be charged the same level as before the Brexit vote. A guarantee of the same arrangement for the 2018/19 academic year is not currently in place. Longer term, it is likely that EU students will have to pay the higher fee rates currently applied to those wishing to apply from outside of the EU. Asked by the Irish News Education Correspondent, Simon Doyle about the possibility of increased fees following EU withdrawal, Professor Johnston said: "It depends on what comes through the Brexit agreement, but technically you are absolutely right. "EU students are treated the same as home students. We have a bizarre setting where if you are from Northern Ireland, partly because we don't have sufficient student places here, that 38 per cent are being charged £9,000 and will be charged more than £9,000 going forward to go to English universities. "So, by not addressing the funding issue here, we are penalising 38 per cent who have to go elsewhere. "In relation to the EU, it is quite possible that we could have a spectrum where EU students are being charged international fees, and technically that could impact on those from the south, which in my view would be a very negative thing." Queen’s has set up a Brexit group – and an extensive online resource guide – to address broader Brexit issues and to help provide more certainty for staff, students, their families and the general public. "That group has worked both inside the University and also now extensively outside with political leaders locally and political leadership in the south," Professor Johnston said. "One of the things we are very clear about is, as a global institution sitting here in Northern Ireland, we feel very strongly about the ability for us to attract and retain local talent – that's both staff and students. We have talked about the mobility of students and the importance of the relationship across the island, not just from a university standpoint, but also in terms of the economy, and there is no doubt that Brexit poses bespoke challenges to all of us here and the university sector as well. 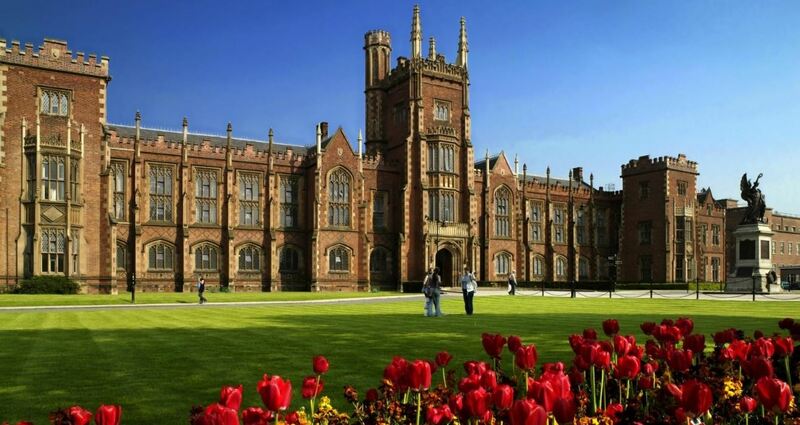 In the extensive article Professor Johnston also spoke about the ‘huge uncertainty’ caused by Stormont’s absence, the lack of a budget and the impact the ongoing political instability in Northern Ireland it was having on the higher education. "As we sit beyond the middle of May, we still do not know what our budget for the next academic year is going to be, which begins in August,” he told the Irish News. "What we've done is we have taken a strategy to try to create certainty even under those circumstances, so we have created a flat budget for next year because we have to create some level of certainty for our staff and students. As you can imagine, working in that context, planning strategically, planning for the short, medium or long-term is actually very, very difficult. "You then put that into the wider challenge of a university sector in Northern Ireland where this is the only part of the UK that has not been investing in higher education since 2011. We have already a structural deficit of about £55 million, underfunding per student of £900 to £2,500, and we are the only part of the UK that gets rid of our most talented kids – 38 per cent leave at the age of 18 and the vast majority never come back." Addressing the possibility of staff layoffs or course closures Professor Johnston said the University was currently not considering cuts, adding that issues around funding ‘needed to be addressed’. "Two years ago we had to take the very unpalatable decision that we would reduce student numbers and also staff numbers, which is something that no vice chancellor wants to have to announce. Northern Ireland has lost over 2,200 student places already as a result of where we are. "In the absence of an Assembly and concrete picture of where we are going from a financial point of view, you can only plan year to year, but ultimately if this level of funding and trend in terms of cuts relative to other parts of the UK continues, we will have no option other than to revisit some of those issues again." Professor Johnston said long-term funding was an issue of real concern, if Northern Ireland was to develop a sustainable higher education system which could compete nationally and internationally. "That is really important because some of the aspirations that we have around our Economy 2030 plan is all about developing a very new Northern Ireland, one that is focussed on very high quality talent, innovation, leadership and developing graduates that have those skills," he added. "We have a skills shortage in Northern Ireland and if we want to really compete in a global economy then we are going to have to start to invest in a way we have never done before. And it's not just a recent legacy, we have never properly invested in higher education and our young people. The full article by Simon Doyle can be read in today’s Irish News.